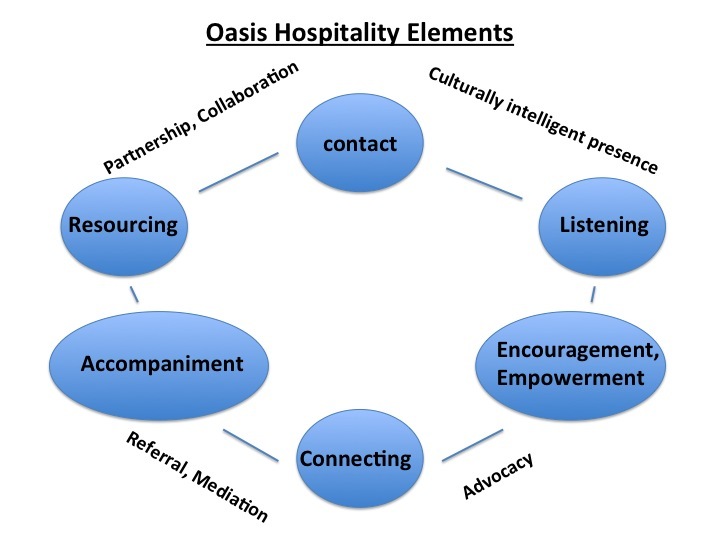 Following discussion of the schema we came up with – “Oasis Hospitality Cycle” – posted previously, I am proposing the following refinement. The commentary on each of the elements still stands. This entry was posted in Uncategorized on July 30, 2013 by Geoff Boyce.